The top 15 things to do in one of the top 10 most "Christmassy" towns in America! Enjoy a variety of delightful lights and spirited events during its annual Julefest (Yule-Fest) every December. Tentative Dates for 2019 Solvang Julefest - November 29 - January 5, 2020. Julefest is a month full of lights, celebration, and holiday cheer. Join us in Solvang for tons of family fun, music, shopping, delicious food, wine and beer, holiday open houses and more. Sign Up to be notified when tickets become available. SUGGESTION: BUY YOUR TICKETS IN ADVANCE ONLINE AS TICKETS MAY SELL OUT! 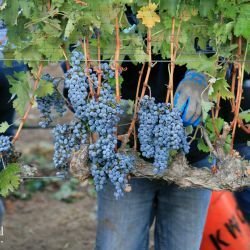 If you’re looking for the best wine and beer that Solvang has to offer, then partake in our 2019 Solvang Julefest Wine & Beer Walk Skål Stroll! You will get to judge local wineries as they uncork traditional Gløgg for the holidays. Tickets price TBD and include tastings at all locations and a souvenir glass. VIP Candlelight Tour of Solvang. 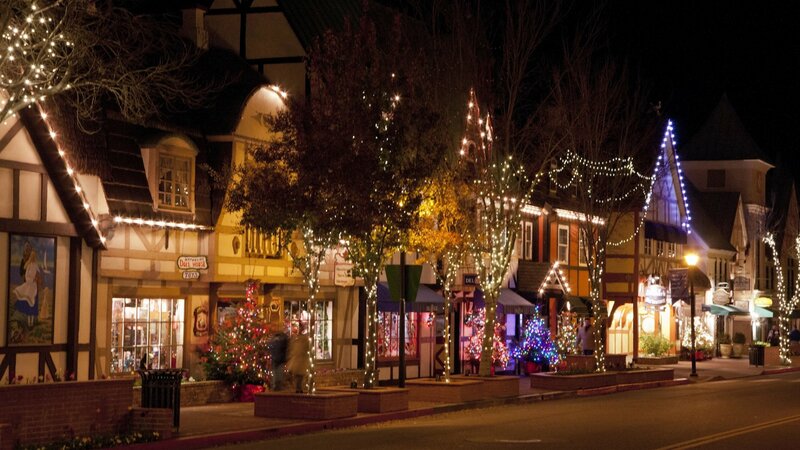 It is a behind-the-scenes walking and caroling tour of the downtown village of Solvang led by costumed tour guides. The tour concludes with a private reception with Santa Claus, complete with hot cocoa and cookies. Tell your little ones to get their wishes ready because Santa will be in Solvang Park on Saturdays in December leading up to Christmas. 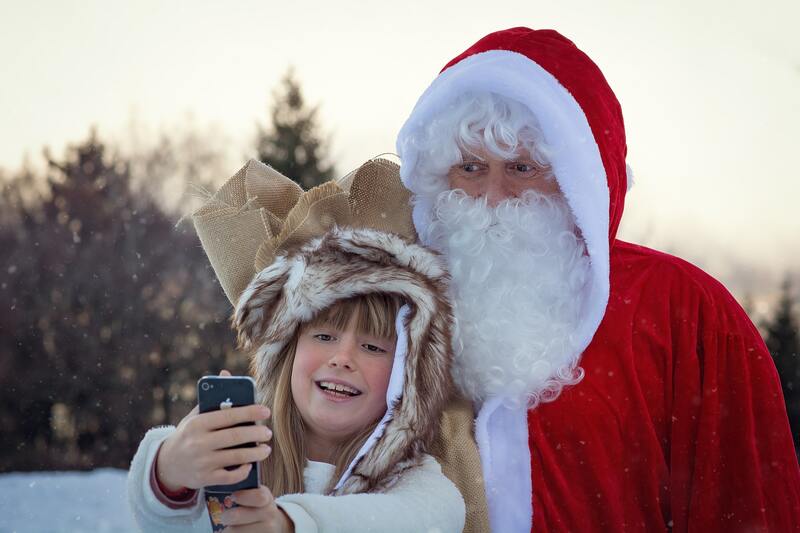 Meet Mr. & Mrs. Claus and pose for a free photo with Santa too! While you’re downtown, explore some of our other shopping options and family activities. Enjoy an elaborate stage presentation of the nativity story featuring live animals, musical accompaniment, and narration. Bring the whole family! There are two free performances at 5:00 pm and 7:00 pm at the Solvang Festival Theater - 420 Second Street. Seating is filled on a first-come, first-entertained basis. Watch more than 400 participants and 50 entries march, trot, cruise, and stroll along festively decorated Mission Drive, Copenhagen Drive and adjacent streets. Thousands of spectators from near and far enjoy the parade every year as well as free post-parade visits with Santa in Solvang Park from 12:30 until 4:00 pm. For more information contact us at info@solvangusa.com or call (805) 688-6144. The holiday season kicks off with a tree lighting on Friday, December 7th from 5:00 pm until 6:30 pm at First Street & Mission Drive in Solvang. Enjoy free live entertainment to get you into the spirit of Julefest. 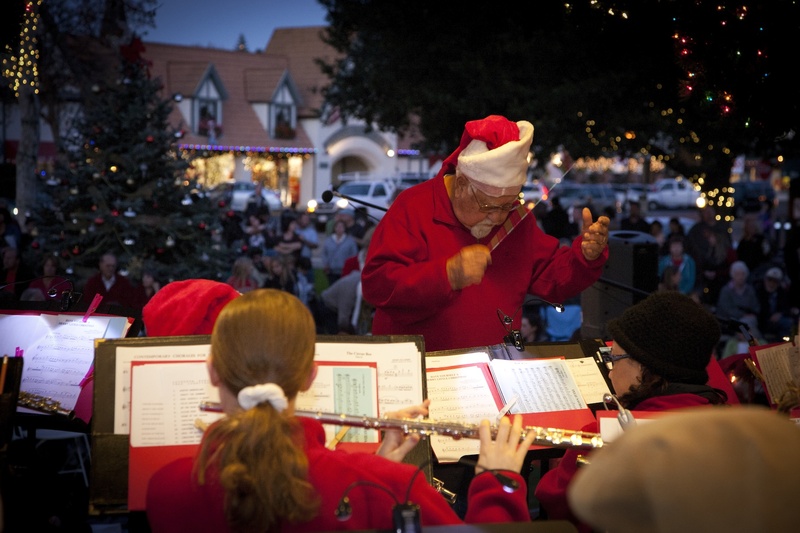 The evening includes dancing ballerinas, bands, caroling, and of course the arrival of Santa Claus in Solvang. 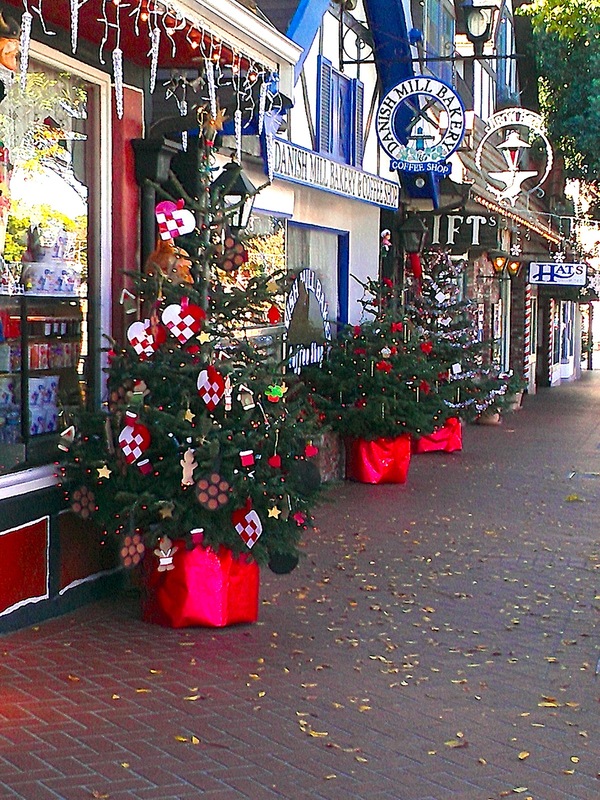 Solvang welcomes holiday shoppers with special events and entertainment and great gift ideas. You’ll find discounts and deals at Solvang merchants of all sorts, such as art shops and galleries, book-sellers, wine tasting rooms, wine and beer bars, clothing, shoes and accessories boutiques, home furniture, décor and hardware, jewelry and antique shops, and restaurants, bakeries and specialty food stores. Plus there’s free parking! This event is presented by the Solvang Chamber of Commerce and takes place December 7-9 and December 14-16. Join us for a Christmas light tour through the Santa Ynez Valley. Enjoy the many exciting home displays that get into the Christmas spirit! Christmas music and hot chocolate are sure to be served. No Grinches allowed! 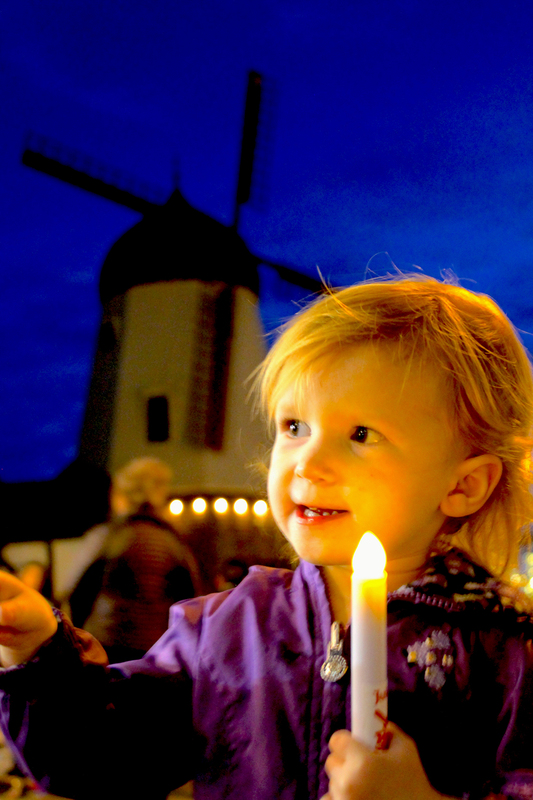 Explore Solvang and see if you can find those mischievous elf-like Danish figures, the Jule Nisse to win a prize. This is a fun free, self-guided activity that families can do at their own pace. Throughout the entire month of December, these festive little gnomes will be hidden in different locations around Solvang with a map providing clues to each location. Once you find all of the Nisse, return to the Solvang Visitor’s Center for a prize! 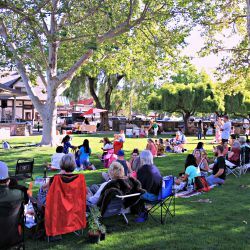 The Solvang Farmers Market takes place on Wednesdays from 2:00 pm until 6:00 pm offering farm-fresh fare including produce, baked goods, and more. 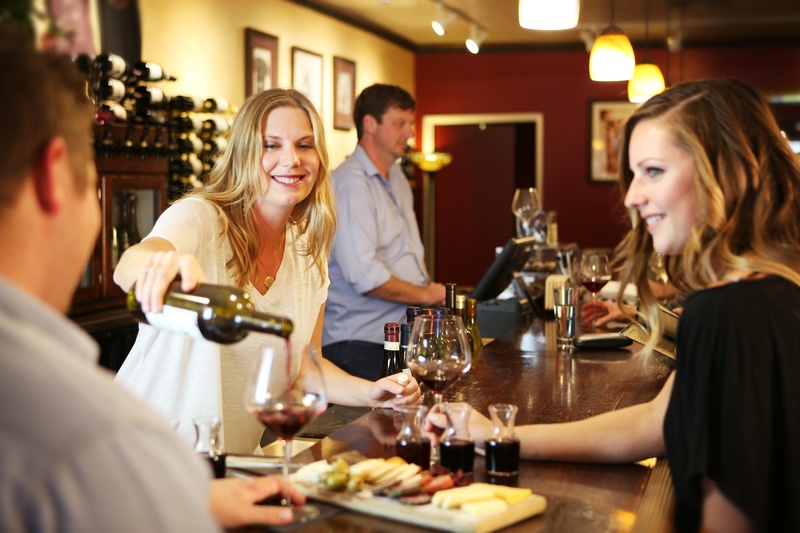 The popular Solvang Third Wednesday on December 18th runs from 3:00 pm until 7:00 pm and will offer even more festivity with deals local hotels, restaurants, and merchants plus ongoing beer and wine walks. Come and enjoy some fun holiday music at Solvang Park or maybe even experience strolling musicians and singers walking up and down the street as you shop. This is a free activity that provides added atmosphere to the city during Julefest. Presented by the Solvang Conference & Visitors Bureau and Solvang Chamber of Commerce. Santa Ynez Valley Master Chorale, youth ensemble and a professional orchestra will present a “twofer” - a joyful program of classical (and not so classical) holiday music celebrating Christmas and the Chorale's 40th anniversary. To celebrate the holidays, the Chorale and orchestra will present Bach’s powerful Magnificat, an exuberant and dramatic composition written in Leipzig for 1723 Christmas vespers followed by more contemporary and lyrical compositions and holiday carols. The Valley Wind Ensemble, Mystique (a local, girls’ acapella group) and the Chorale’s youth ensemble will contribute to the celebration with their own selections and, the youth ensemble will close the concert with a carol sing-along. Attend the Free annual Solvang Christmas Tree Burn in the fields at Old Mission Santa Ines, 1760 Mission Drive in downtown Solvang from 5:00 pm - 7:00 pm on Friday January 3, 2019. The event is supervised by the Santa Barbara County Fire Department as one of the largest fire safety demonstrations and community gatherings on California's Central Coast; and coordinated by the Solvang Parks & Recreation Department. There will be free, live entertainment as well as refreshments for purchase. Join together to see this powerful safety demonstration the New Year and herald the end of Solvang's annual Julefest Celebration. We recommend patrons take City of Solvang transit partners to and from the events.